Every year billions of dollars in assets will pass from one generation to the next. But will the money flow as anticipated or will an unintended percentage be diverted to the IRS? Your action-or inaction-affects the direction of these funds. The Certified Financial Planners® of Archer Huntley Financial Services, Inc., monitor the ever-changing rules regarding estate planning and wealth transfer to ensure clients’ assets reach their intended destination. Wealth transfer brings with it a variety of responsibilities. Are the beneficiaries prepared to bear them? Will they understand the duties money can bring? Have you done your work to prepare them? 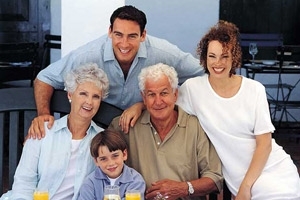 Our Private Wealth Managers can help you and your beneficiaries plan for financial challenges and assist in stewarding the assets for the next generation.